PTS302 Central lung cancer Severe airway obstruction - Products - Gongwin Biopharm Co., Ltd. The WHO GLOBOCAN 2018 database shows lung cancer ranks first for incidence and mortality rate among all types of cancer. The estimated 2018 global new cases and deaths of lung cancer are more than 2 million and 1.76 million respectively. 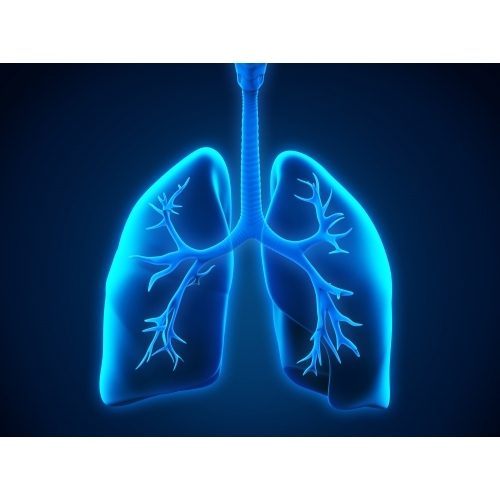 According to reports published by Global Data, the global market of lung cancer drugs will reach USD 2.29 billion by 2024. Based on NCCN (National Comprehensive Cancer Network, USA) Guidelines for treatment of lung cancer, the recommended treatment for early stage patients is surgical removal of the tumors. For inoperable patients or patients undergone genetic screening, chemotherapy, targeted therapy, and/or radiation therapy can be applied. Further, immunotherapy can be considered for patients non-responding to chemotherapy. About one-third of lung cancer patients will suffer from airway obstruction caused by tumors. Once the size of tumor exceeds 3 centimeters, surgical removal will not be considered. Under this circumstance, no systematic treatment can inhibit tumor growth just in time. As a result, such patients’ lives may be in danger. Although there are some physical-palliative treatment options- stent placement, laser, high-frequency electro-surgery, argon-plasma coagulation, microwave, cryotherapy, and radiofrequency, these physical therapies can cause damages to tumor cells as well as normal cells and lead to serious complications such as massive hemorrhage, airway burns and airway fistula etc. As of now, there is a desperate medical need for an effective and safe therapy for lung cancer patients having MAO (malignant airway obstruction). PTS is a novel small molecule tumor ablation agent with the advantage of quick-onset over systematic therapies and with the advantage of stronger necrotizing effect over physical ablation therapies on tumors. In addition, PTS has demonstrated minimal damage effect to normal cells. As a result, clinical physicians can conduct PTS intratumoral injections via bronchoscopy for patients with high risk to physical ablation therapies and for those hard-to-reach focus and basal tumor cells to cause tumor ablation. Then, physicians can remove tumors by suction and/or clamping with minimal damages to adjacent normal tissue. According to our Phase III clinical results conducted in China, most of the enrolled patients can be significantly relived from MAO in a few days after treatments and suffered only minimal airway damages. Overall, the ORR is about 70% within 30 days after treatments. Moreover, the pulmonary function and dyspnea index have been significantly improved with little systematic side effects. Based on a study conducted by IMS, among all NSCLC patients in China, there are 340,000 patients with central airway obstruction. Out of them, the total estimated inoperable MAO (trachea and right/left bronchi) patient number is 81,000. Upon NDA approval in China, we expect PTS to be an effective treatment in combination with other available treatment options to control MAO and relieve symptoms caused by MAO. The ultimate goal is to obtain NDA approvals in other markets and countries. 2. Li S, et al. Effect of para-toluenesulfonamide intratumoral injection on non-small-cell lung carcinoma with severe central airway obstruction: A multi-center, non-randomized, single-arm, open-label trial. Lung Cancer 2016. 98: p. 43-50.